You can read the full press release on the Toyota website. According to the Detroit News, the company has recalled a total of almost 15 million vehicles in the past two years. Despite a half-dozen NHTSA investigations into sudden acceleration claims in Toyota vehicles since 2000, the automaker did little until the high-profile deaths of four motorists — including an off-duty California Highway Patrol officer behind the wheel — near San Diego in August 2009. They were killed when the vehicle sped out of control. Investigators said the cause was a trapped floormat in a loaner Lexus from a dealer. Over a 10-year period, NHTSA received nearly 3,100 complaints, alleging at least 93 deaths from Toyota sudden acceleration incidents, but has confirmed a link in just five deaths. In that same period, the rest of the industry accounted for about 6,400 complaints combined. 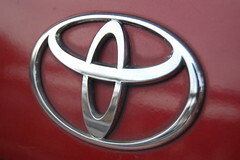 Toyota faces more than 100 lawsuits because of recent issues.